It’s long been suspected that one of GM’s many upcoming electric vehicles would be some sort of crossover, with the company confirming at least one of its new models will be based on the same battery-electric platform as the current Bolt and sold alongside it, as Automotive News previously reported. 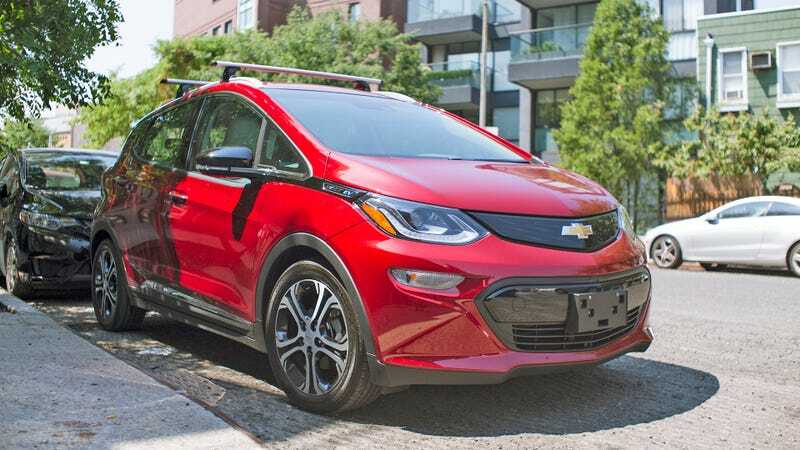 And now, GM Authority has dug up a new trademark application for an upcoming model named the “Bolt EUV,” with the outlet speculating that it likely stands for something like “electric utility vehicle.” “Urban” wouldn’t really make a lot of sense considering the current Bolt is already pretty much exclusively associated with urban driving. If that speculation is accurate, then that’s probably what GM plans to call the rumored Bolt-based crossover, spinning the Bolt name into a sub-brand of sorts for its electric models. Or at least two of them. Riveting stuff, I know. But it’s a strange naming decision, in my opinion, because the Bolt and Volt naming was already confusing enough. Now there may be two vehicles with essentially identical names. Why not call it something tough or adventurous, like bringing back the Nomad name? Please don’t call all 20 of the upcoming GM EVs some variation of Bolt. Correction: This article previously reported the trademark was for “UEV,” when the image clearly reads “EUV.” We deeply regret this error.